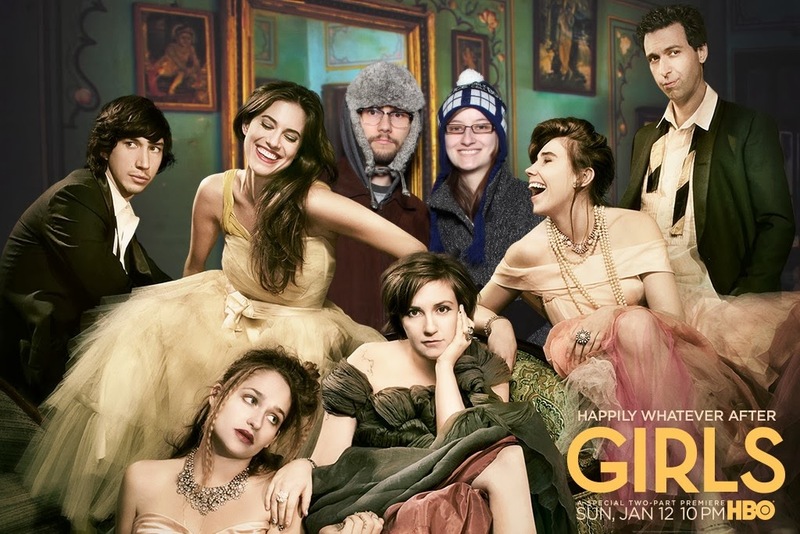 GeekRex | Review: Girls, Season 3 Episodes 1/2: "Females Only" and "Truth or Dare"
Review: Girls, Season 3 Episodes 1/2: "Females Only" and "Truth or Dare"
A couple nights ago, I ventured out into the frigid weather to go to a premiere for the first two episodes of HBO's Girls. I gotta say, HBO, the Atlanta Film Festival, and the Plaza Theater really put together a fun shindig: there were photo opportunities (see above), popcorn with loaded candy fixins, and a live stream of the red carpet premiere in NYC. It was a fun affair, but did the episodes hold up? Be warned, as spoilers may follow! I ought to give a very brief description of my feelings about the series in general before I take on these two premiere episodes. I came across the first season early last year and really fell in love with it; it was hysterically funny, pretty damn realistic, and had some great emotional moments that rang true. Plus how can you not love an episode entitled "Welcome to Bushwick aka The Crackcident"? The second season, however, was pretty disappointing. There were shining episodes here and there, but towards the end it really went off the rails. 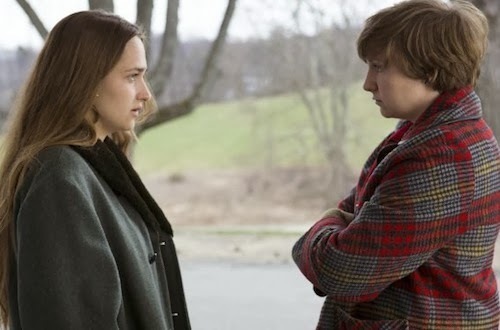 The OCD manic spiral of Hannah (Lena Dunham) and the bizarre fairy tale style ending of the season made no sense for these characters and made their story far less interesting. However, most of those issues were fixed for these two episodes. In the first, called "Females Only," we learn of the new status quo: Hannah is all better, and still living with Adam. Her writing is going better than ever and things seem pretty peachy keen for her. Marnie, unlike the last time we saw her, though, isn't doing so hot. In a great plotting decision, her boyfriend Charlie has disappeared with little explanation, leaving her in a sad sort of singles limbo. Shoshanna has continued to open up to the world and is living up the college life, while Jessa is ruining rehab for everyone else. "Females Only" focuses primarily on Jessa's situation. While she is my least favorite character, she was put to great comedic use here, her cruel honesty playing off the pitiful others in her discussion group. While I'm usually frustrated by her unchanging bohemian attitude, it worked very well here as we get to see how she truly thinks she's doing the right thing while causing mayhem with her particular mania. We also get to see Adam uncomfortably run into his ex Natalia (Shiri Appleby) and poor Marnie who is now stuck living with her mother. "Truth or Dare," the second episode, picks up where that story ends as Hannah, Shoshanna, and Adam take a road trip to pick up Jessa from rehab. The trip, of course, has some silly sidetracks, but essentially goes off without a hitch. Jessa and Hannah have a bittersweet reunion as we know that Jessa will inevitably pull the same kind of nonsense and Hannah just doesn't want to admit it. The two episodes were not quite up to par with the gold of season one, but rectified most of the mistakes of season two. The characters themselves continue to be the best thing about the show. 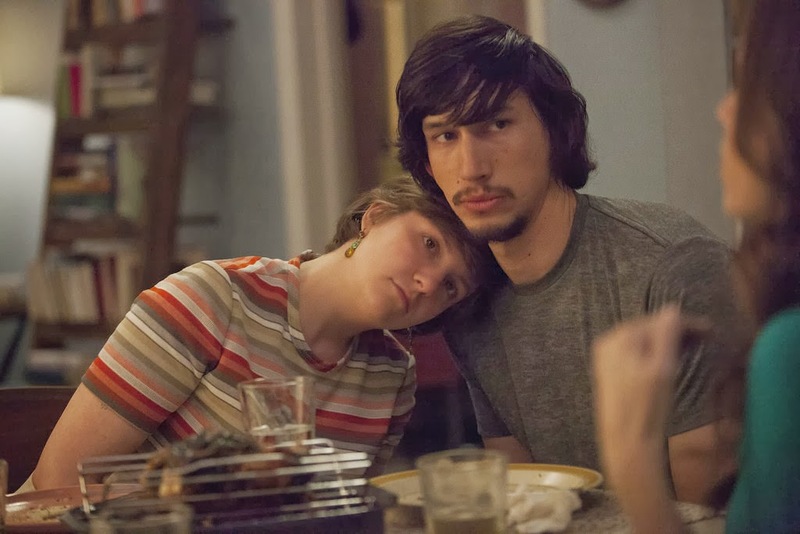 Adam (Adam Driver) is still the funniest and most interesting character as the weird, artistic boyfriend who still can be a typical boyfriend. He provides most of the laughs as we see Hannah and her friends, ranging from goofy to spastic to psycho, drive him crazy. Perhaps the best part of either episode is when Hannah and Shoshanna sing and dance along to a song on the radio in the rental car Adam is driving, right up until he slams his fist into the radio and then calmly resumes his silent drive. Hannah is fun and happy, while Shoshanna takes that to an extreme as the entertainingly feverish college girl living it up. We get a lot of what makes Girls occasionally a great show: characters with some pretty grey likeability put into real situations. These people are both annoying and admirable, trying their hardest but not really trying at all. Their situations are pretty relateable, with just enough comic mischief to keep it interesting. The show is at its best when the characters are struggling, and this season has just shifted that struggle to Marnie and Jessa rather than Hannah and Shoshanna. But what makes it interesting is that even those who seem to be doing well may just be lying to themselves, making things seem okay when they're actually not doing so great. After one of the worse season finales of all time, I'm pleased to say I'm looking forward to the rest of season three!